I can't upload the pic here (does anyone know how??). In Japan the release date is 12/31/2018. Do you have a link to the site where you saw this? Here is a video of the ending. oohhhhhhh, nice tam-tam smash at the hohepunkt (climax). The hi-res download is now available (on sale for just $12.69 for a limited time). You can even listen to the whole thing, albeit in 30-second increments--just keep clicking the 'play' button. BEST DEEP BELLS and HIGH and LOW TAM-TAM EVER!!! I also like it that Vanska doesn't drag the unison chorus at the 32 minute mark (I hate it when they do that). Going back to the march (within the finale), I like how he brings the offstage trumpets in closer with each of their entrances, located between 14:00 and 15:00. As a result, you hear the trumpets leading into the full orchestra's re-entrance, with the low brass belting out the melody. In the other words, the hohepunkt of the entire march section. You can also hear the series of tam-tam smashes at the end of the march, but the tam-tam could still be a bit stronger there (but hey, at least you can hear it!). I'm definitely getting this. I wish I liked Vanska's M6 more than I do. The two inner movements are excellent, but the two outer ones aren't nearly as good. I think he's more into the 'positive' Mahler than the 'downer' Mahler. What do you guys think? . . . I wished he had used THESE deep bells for the M6 finale, rather than the ubiquitous rolling rack of chimes (holy doorbells). My colleague who heard the recording confirmed the excellent of the performance but he lamented that the bells in the closing pages are inaudible. Huh? John, when I listened to it on the e-classical link provided here, the deep bells were very present. I'm baffled. Listened to a bit of this just now. On my system the bells sounded good, but maybe a bit unatural. The tams sounded very....crispy to my ears. I feel like the engineers made a point to bring this moment out. The organ was well balanced, and the choirs are really forward. I really liked Manny Laureano's trumpet playing, especially his sound on the Monette. -The precision of the string playing in the first movement. -The Andante which is shaped with great care, listen to the portamentos and the left-right separation of the strings. Here the Andante really sings! -The clarity of the finale. Weaknesses? I'd have preferred a more European sound from both soloists and choir and slower tempos overall. 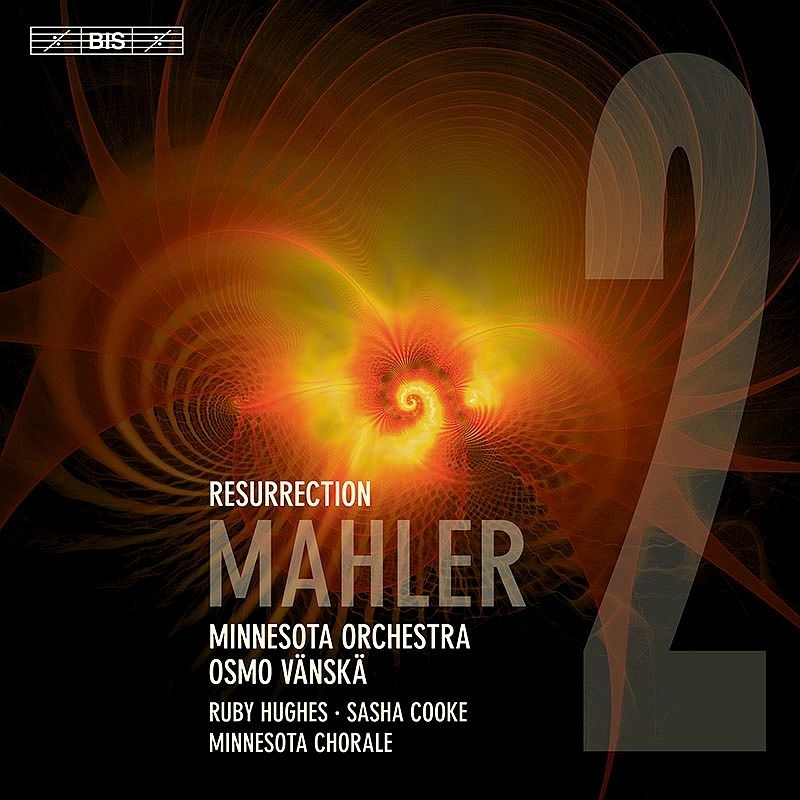 But this is a very fine Mahler 2nd (and this comes from someone who doesn't always agree with Vanska's lean treatment of the orchestra in other recordings). Not a "spiritual" Resurrection but well played nonetheless. Thanks. Whn listening on e-classical, the deep bells are very present to me. I guess playback can have so much to do with the results. In this recording, they are using true bells rather than the ubiquitous rolling rack of tubular chimes (holy doorbells). I assume that you're aware that the deep bells are not written to just play whatever, willy-nilly. Instead, Mahler writes very precise alternating salvos between the two gongs (tam-tam) and three bells. Some conductors do have the bells play ad lib, but that's not what's written. What I liked on this recording, is that I could hear ALL of the salvos from both gongs and all three bells. That rarely happens.